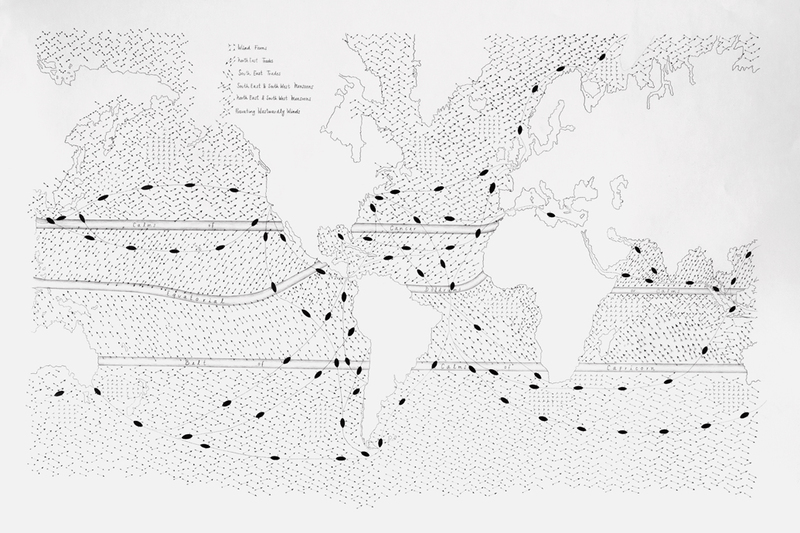 Matthew Fontaine Maury, nicknamed “Pathfinder of the Seas,” made important contributions to charting wind and ocean currents. 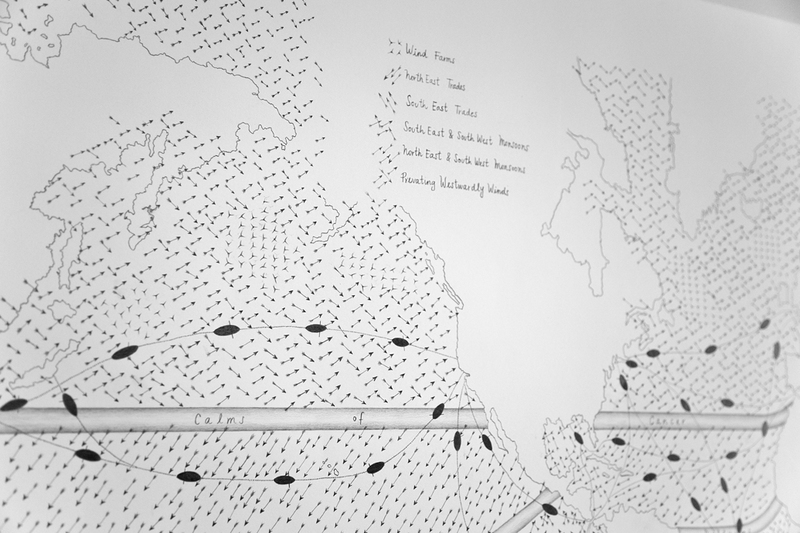 His studies proved that by following the winds and currents ships could cross the ocean in fewer days than ever before. 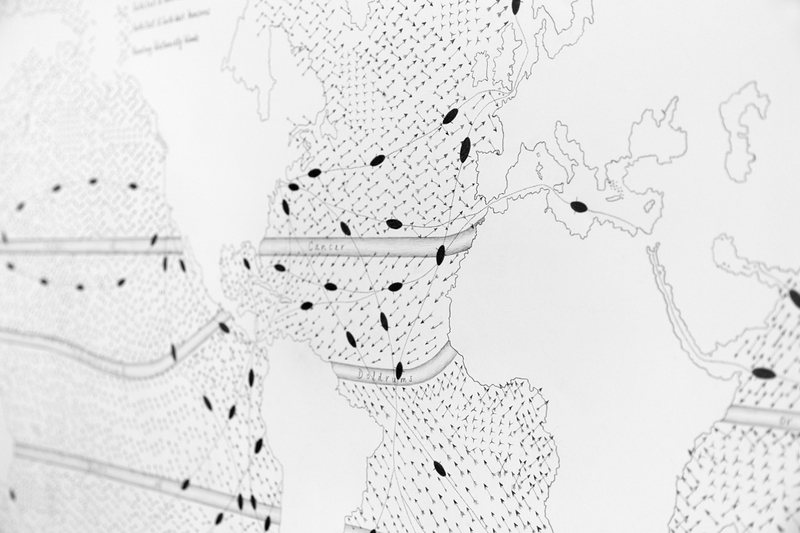 Trade winds play a pivotal role in understanding the European expansion and its impact in current geopolitical configurations. 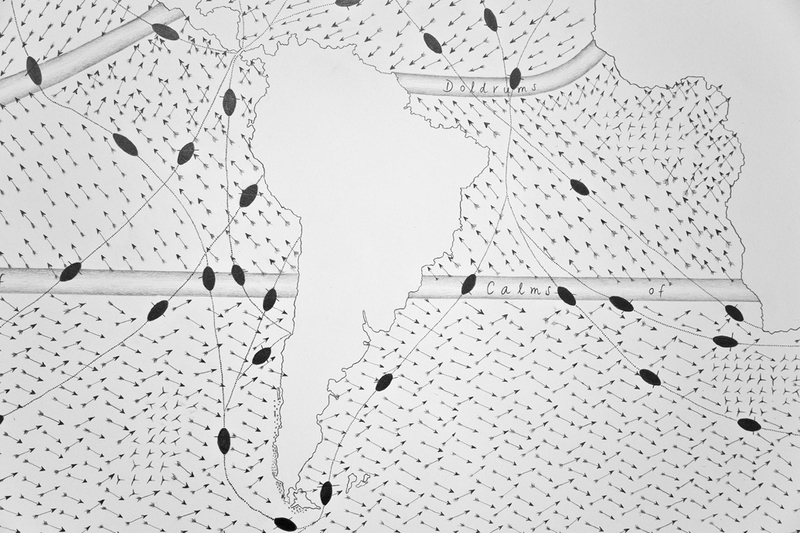 This drawing is a result of a re-interpretation of F. Maury’s 1857 “Winds and Routes” Chart, including contemporary shipping routes and fictional wind farms.